In 2016, Netherlands-based Dunlop Protective Footwear laid down roots in the United States through an acquisition of ONGUARD Industries from the Ansell Corporation, formerly the Bata Shoe Company. While the name Dunlop was new to the area, manufacturing boots in Harford County was a familiar practice – a legacy – as Mary Steinebrunner, Dunlop’s U.S.A’s General Manager, said. For decades preceding the acquisition by Dunlop, Ansell Corporation and Bata Shoe Company centered core business on manufacturing basic PVC protective footwear. But with new ownership and new technology, boot manufacturing in Harford County entered a new era, centered on technology and innovation. “When it was time to relaunch the brand into the American market, we were looking to build a long-term home with a strong history in manufacturing and a high-tech workforce,” said Allard Bijlsma, CEO of Dunlop Protective Footwear. The company’s search brought them to the ONGUARD Industries facility in Havre de Grace. Dunlop is among 7,000 Maryland businesses that export to 209 countries.?? Using advanced manufacturing technology, the company offers tailored solutions to protect “makers and doers”– the workers who are exposed to harsh elements or dangerous conditions. Those workers range from those who supply energy to those who produce food. The company is so much more than making “granddad’s boot” over and over again, said Steinebrunner. After introducing the only high-pressure polyurethane injection machine in the U.S. in 2017, the company gained a distinct market advantage. With the new machinery, the company is the first producing the revolutionary Purofort® boot, a lightweight product that provides a better level of protection for customers than ever before. “It’s something that no one else is doing, and it’s actually pioneering a new way to protect workers,” said Steinebrunner. The company also manufactures its compound on-site, allowing it to test and develop products to meet the needs of its end users. "We spend a lot of time understanding what’s needed in the marketplace and innovating to stay ahead of the curve, so that we can have the right product for the right customer,” said Steinebrunner. 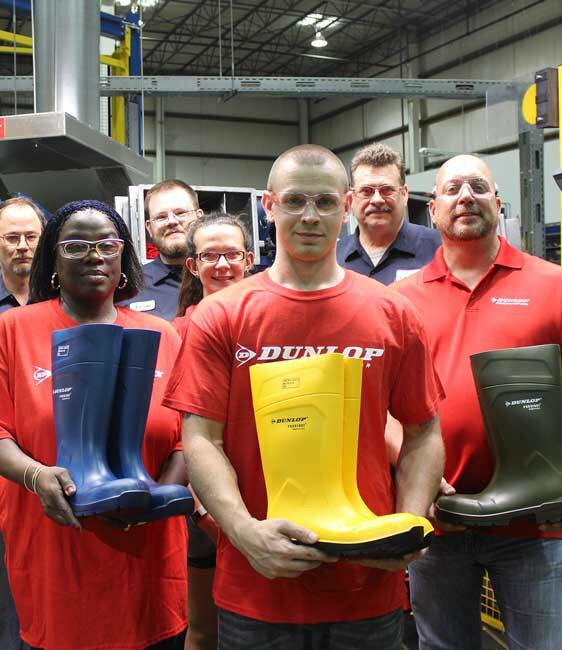 In addition to its Purofort® line for industrial markets, Dunlop continues to innovate the basic PVC boots it has manufactured in Maryland for decades. In 2018, the company plans to introduce the Chesapeake Boot, a reimagined baseline PVC boot to replace the rigid boots meant to protect from mud and water that, as Steinebrunner said, looked like your granddad’s old boot. From naming a new product after the Chesapeake Bay, to proudly displaying its Havre de Grace address under a “Made in the U.S.A.” label on its boxes, there’s a lot of pride among the company for its Maryland roots and the important role of its products. The company is in growth mode, so there’s also a lot of excitement for what the future holds. “Being part of the Dunlop family has given our brand new breath, and has given us the additional ability to extend our business into other market sectors,” said Steinebrunner. 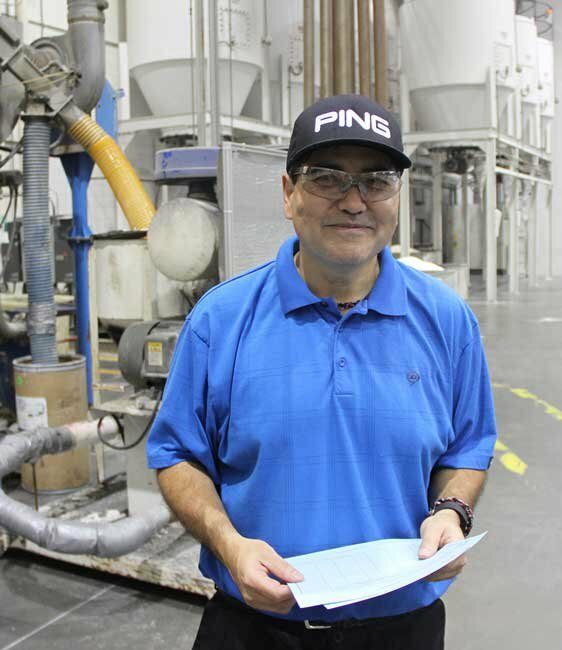 As Dunlop looks toward the future, it’s on a clear path to double its business by 2020. To reach that goal, the company will continue to invest in new technology and train employees to stay ahead of the curve. 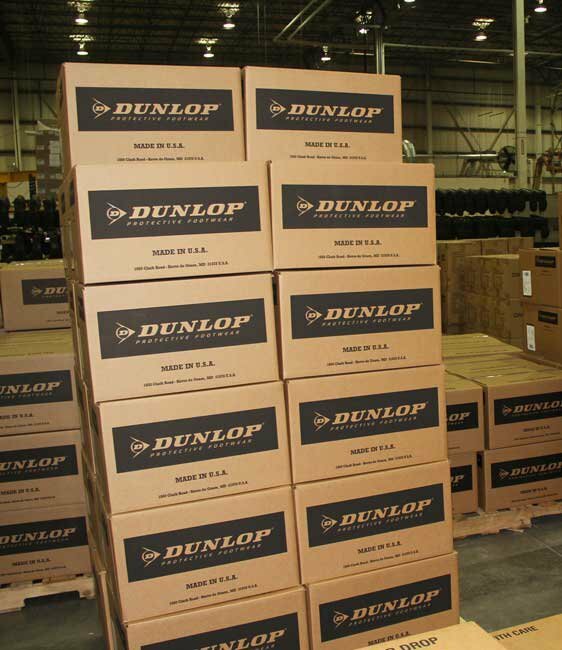 Growing globally, Dunlop is shipping product to Europe through the Port of Baltimore. Traditionally, Steinebrunner said, the U.S. would only be receiving products like protective footwear from other countries. And what will sustain their growth? Great products and strong customer relationships. The world's largest hotel company grew up in Maryland and continues to grow here. Find out what strategic moves the company made to rise to the top.